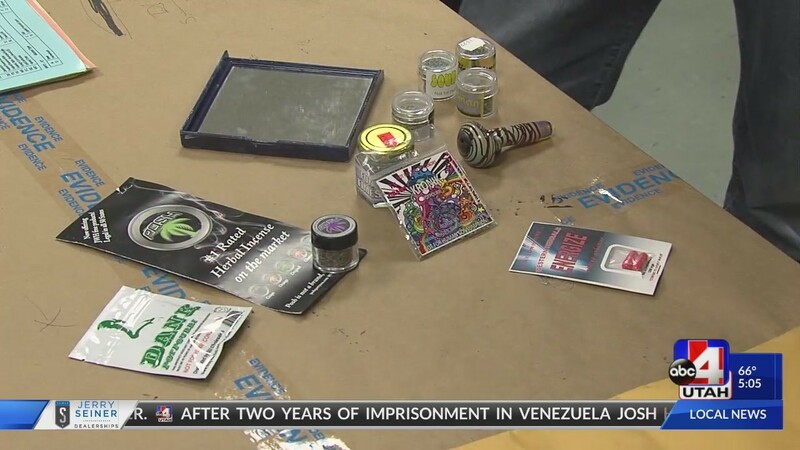 “A synthetic marijuana extract made 52 people sick drawing the attention of the Center for Disease Control (CDC). The illnesses occurred over the winter and the CDC is now asking states to regulate cannabis oil extracts. The CDC report released last week noted that half of the 52 people tested positive for either a synthetic compound called 4-CCB or Yolo CBD oil. Troy Turnbow is a volunteer with the Salt Lake Mission. He was around when many in the homeless population became sick from the synthetic cannabis oil. A cannabis advocacy group said the black market synthetic oils are a reason why their initiative will make it safer for the public. TRUCE is supporting a possible ballot initiative for medicinal marijuana. ‘It will allow patients to have access to products that are regulated and tested for not just potency but also … oils that aren’t supposed to be in there, things like synthetics, spice,’ said [TRUCE Board Member] Justin Arriola. Note: the article leaves out the court suits which are likely to go before a judge if the initiative receives numerical certification. So “final status” may take a good while yet.